I’m a firm believer in Traditional Chinese Medicine, largely due to my Chinese roots. 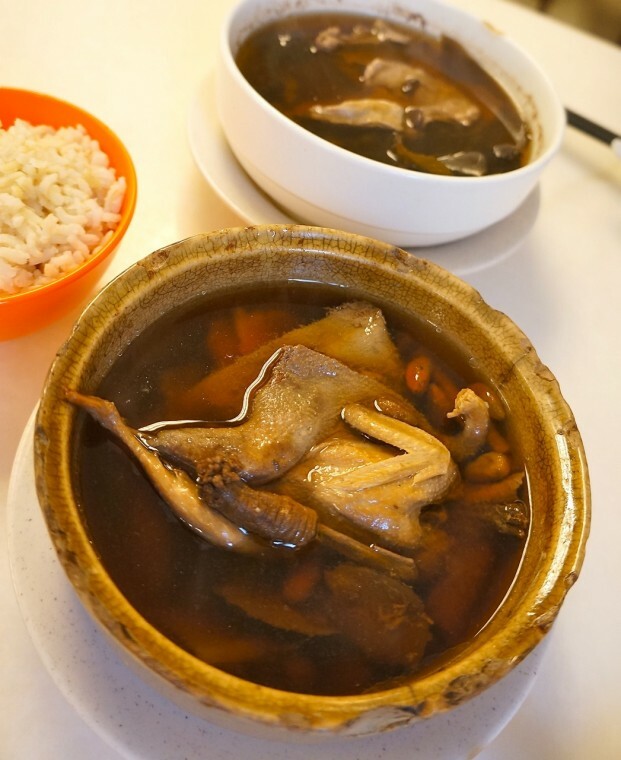 Mum used to prepare all sorts of herbal tonic soup at home. 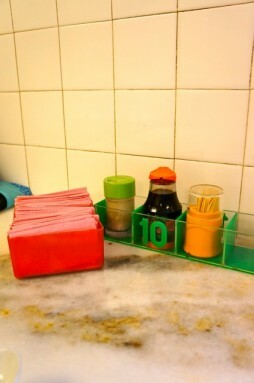 I remember my dislike for these usually bitter concoction and Mum always had to persuade me to drink up. Now that I’m living on my own and spending long hours at work, home made herbal tonic is quite a luxury. 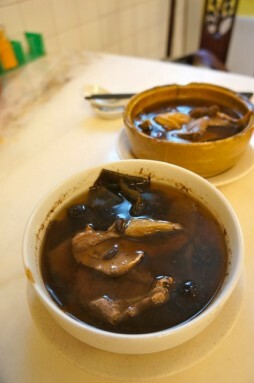 It’s a good thing there are now many herbal soup restaurants specially catering to time-starved city dwellers like me. 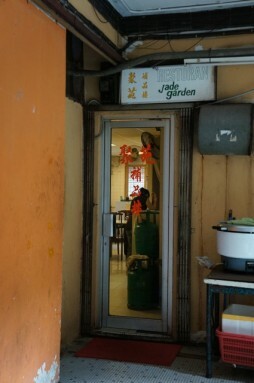 Jade Garden Restaurant is one of those that has been around for the past two decades. 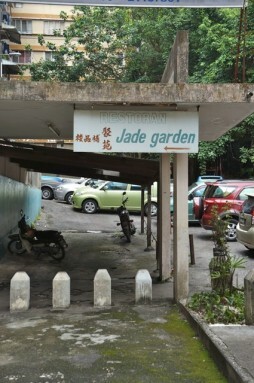 Dining in Jade Garden feels very much like having a home-cooked meal. 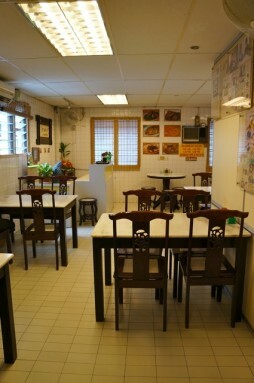 It is a small, simple set-up with less than 10 tables. 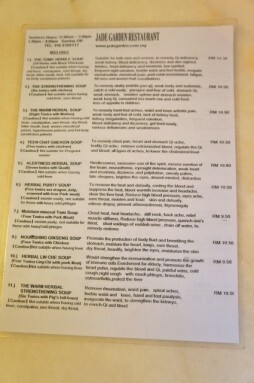 There are 11 types of herbal tonic soup on the menu and each comes with clear description of its remedy. 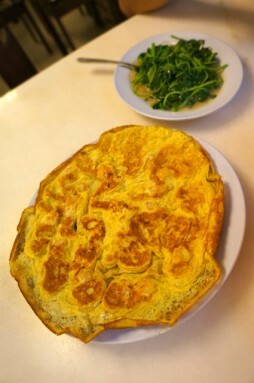 They also serve a small variety of dishes to go with the soup. 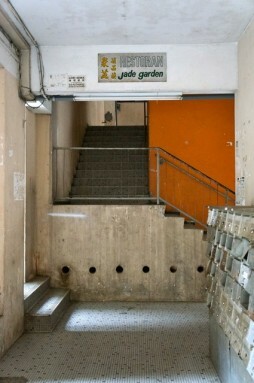 Jade Garden is housed in the most unassuming place – in an apartment building, hidden from the main road. Just watch out for the signages at the entrance to Blue Boy Mansion and you should be on your way. 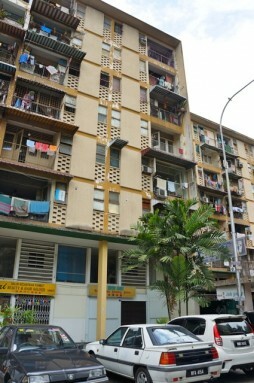 Open from : 11am – 3pm; 5.30pm – 9pm. 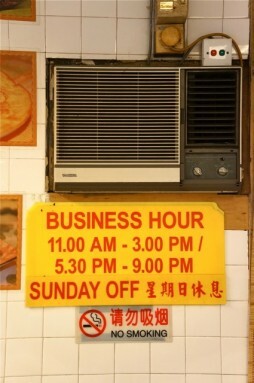 Closed on Sundays. I didn’t see the owner on my recent trip there. Would’ve been nice if he’s around to give some advice. The prices are still pretty much the same, good value for money.